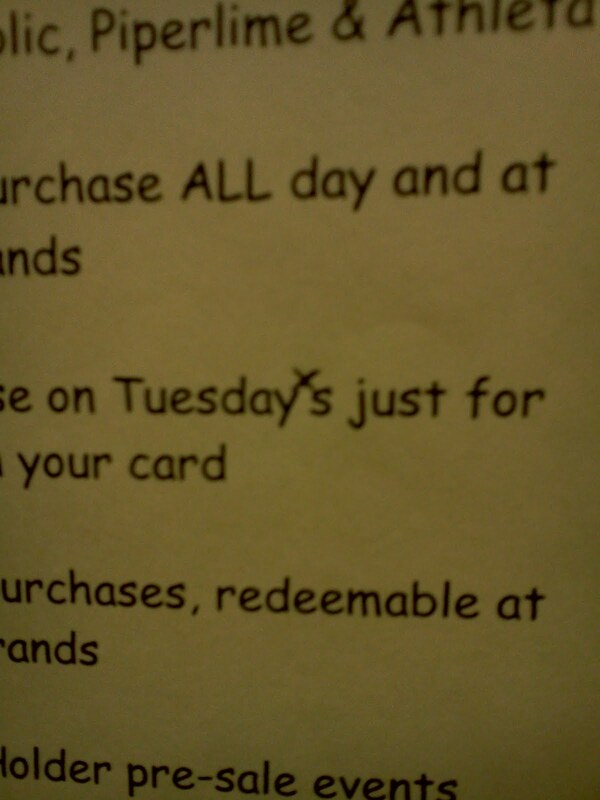 An anonymous reader found this apostrophe catastrophe while holiday shopping at TJ Maxx. Good grief indeed! Maybe if Lucy had just said "Merry Christmas," this catastrophe could have been avoided. Thanks, person who sent this to me! 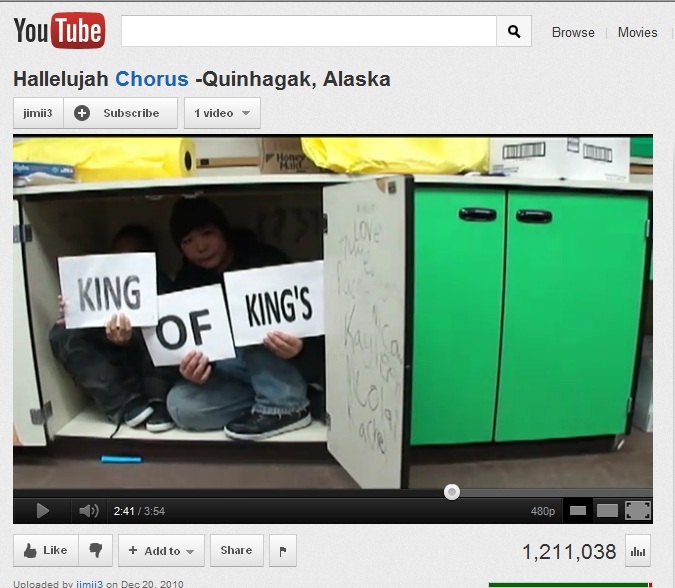 Susan sent me a screenshot from a YouTube video of some kids in Alaska town going all Bob Dylan on the Hallelujah Chorus. She writes that the video is "Cute, fun, in the spirit of the season and all, but every time they got to 'King of King's' and 'Lord of Lord's,' I cringed a little." Happy Holidays to Susan and all my other readers out there! All I want for Christmas is apostrophe catastrophes. Everything must go at Filene's Basement, including the apostrophe in its name. My condolences to people who loved the Basement. 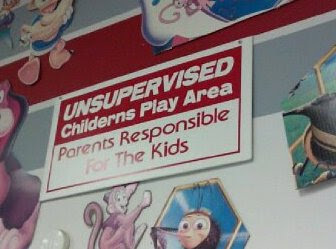 Emily spotted this catastrophic sign in a video store in Victoria, BC, so who knows how long it has been there. I hope the parents aren't responsible for their chiderns [sic] spelling! Thanks to Lillian for sending this in! 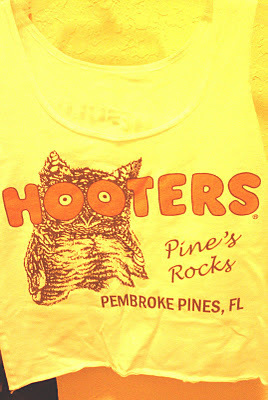 Sherry picked up a Hooters T-shirt for a Halloween costume a few years ago -- or so she claims -- and has been annoyed by its apostrophe catastrophe ever since. 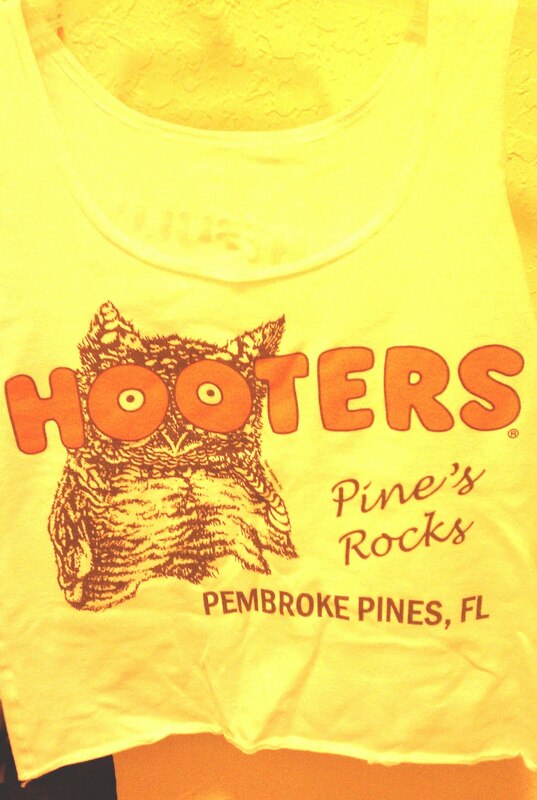 The name of the city is Pembroke Pines, so if the shirt is trying to say that the city rocks, it shouldn't have an apostrophe at all. If the shirt is trying to refer to rocks that belong to the city (unlikely), the apostrophe should be after the "s."
Last year Melissa sent in a photo of a tree skirt that was marred with an apostrophe catastrophe. When she brought the tree skirt out of storage today, she decided to fix the catastrophe with an editor's mark made of red thread. Well done, Melissa! Now I'm in the holiday spirit.